Canon CMOS sensors offer unique performance for next-generation defense solutions. As suppliers continually push to develop new and innovative products to keep troops safe, the need for rugged, reliable vision systems with state-of-the-art capabilities increases. Today’s vision systems need higher resolutions, improved sensitivity, greater frame rates, and lower power consumption so suppliers can realize the innovative defense solutions of the future. 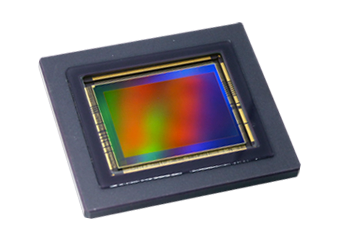 Canon CMOS sensors feature unique performance attributes, stemming from technological advances at the pixel level. Whether you need greater distance capabilities, better field of view, multi-camera solutions, or RGB-NIR capabilities, CMOS sensors from Canon offer flexibility and high-performance in a wide range of settings for wholly unique imaging solutions. The global defense market is expected to be worth approximately $10.5 billion by 2023, growing at a compound annual growth rate (CAGR) 6.1% (Global Market Insights). The primary driver of this growth is the fact that defense spending around the world is rising due to growing national security threats. Much of this increased spending is being allocated to research and development (R&D) budgets. As this market grows, innovative vision solutions will be needed to deliver unique defense products with entirely new capabilities. The defense market is expected to experience steady growth with rising R&D budgets. Enhance the capabilities of future defense systems by exploring the unique performance of Canon CMOS sensors.